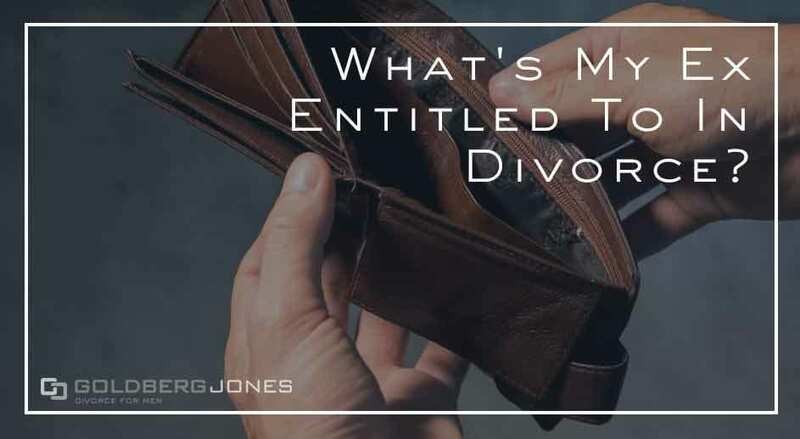 "What's My Ex Entitled To In Divorce?" Dividing up shared property and hashing out a settlement is a huge part of a divorce. It also has a major impact on your financial future, so it’s important to do things right. But it’s complicated, especially when you mix two lives. What happens to things you owned before you married? What counts as community property owned by both spouses and what constitutes separate property owned by one? It may appear cut and dried, but it often gets muddy when considering things like sweat equity or making mortgage payments from joint funds. Our founding partner, Rick Jones, makes regular appearances on the Danny Bonaduce and Sarah Morning Show, where he addresses listener’s family law questions. On a recent show, one audience member texted in a question about this very topic. “One, the difference between separate property and community property. So, certainly, at the time he got married, he had separate property. He owned the house and at least there was probably some equity based on the down payment he made at the time that was separate. Now, once that happens, and he starts to pay down that mortgage, that becomes community property because that was money earned while married even if he was the only one working. “So what he needs to do is go through a very thorough process called ‘tracing,’ trying to be able to paint the picture, and display that this is the amount of separate property that really should be sorta exempted from her getting her hands on.